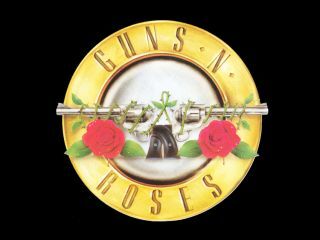 The soap-opera surrounding Guns N' Roses' laughably-long-awaited Chinese Democracy album just featured a cameo from the music businesses' very own version of "Mulder and Scully". Yes, the FBI have been called in and they're after Kevin Skwerl - blogger, web designer and former Universal Music employee. After posting nine new Guns N' Roses tracks on his blog Antiquiet and practically crashing the entire internet in the process, Kevin Skwerl had a knock from the FBI - two young officers who Skwerl described as "Mulder and Scully types" tasked with sealing the leak. It turns out Skwerl used to work in the distribution department of Universal Music (Guns N' Roses' label), but claims he received the tracks from "an anonymous online source". The FBI asked to see the original files but Skwerl had already deleted them as per instructions from Axl Rose's lawyers. Rolling Stone spoke to Kevin about the raid: "I wasn't sure if they were going to come by with a warrant and trash the place, like in the movies - It was nothing like that". When asked about possible legal action Skwerl said: "I'm not so worried about that - It's a legal grey area since it wasn't for download, it wasn't a finished product. We aren't sure who owns the recordings. I feel like I might survive this".